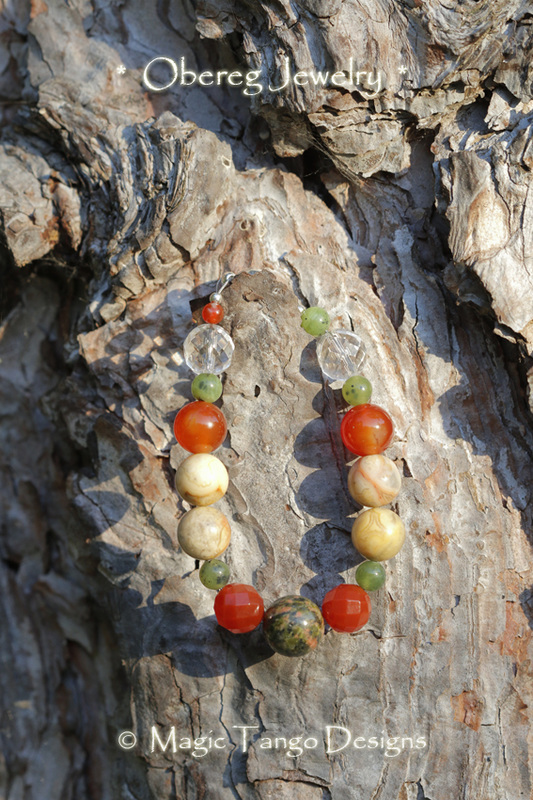 This beautiful necklace is for someone who wants to be positive, confident, grounded and creative. To have energy to put your ideas into reality :). and simply to enjoy life in its beauty. 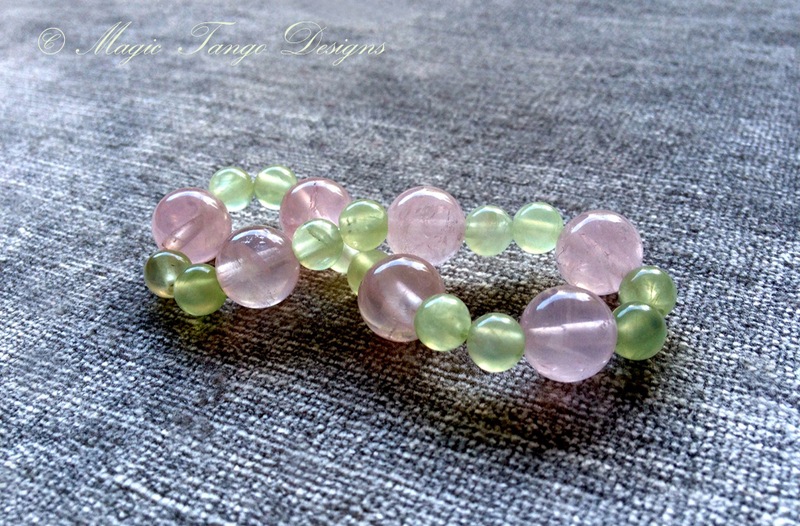 Obereg bracelet: water, earth & a bit of air, it has a calming energy with a hint of fresh look at life. 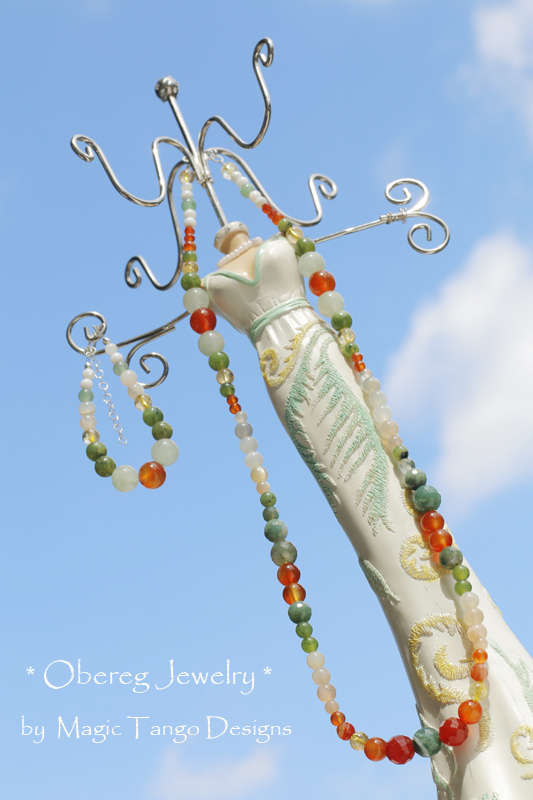 It was made for a customer for optimism, self-confidence, self-acceptance, for creativity, inspiration, abundance; it can also help to find spiritual path. 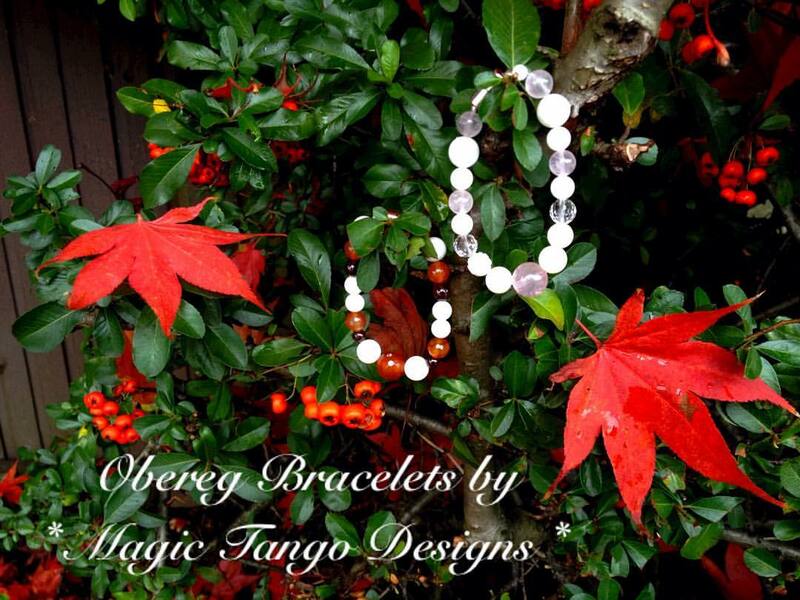 Contact to find out what these Obereg bracelets are about! 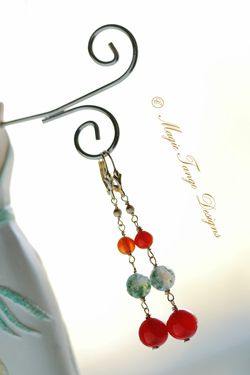 It is considered and proven many times already that well-made and well chosen jewelry with NATURAL stones - gemstones and crystals when worn close to the skin, can have a positive effect on the owner (self-development, healing...). 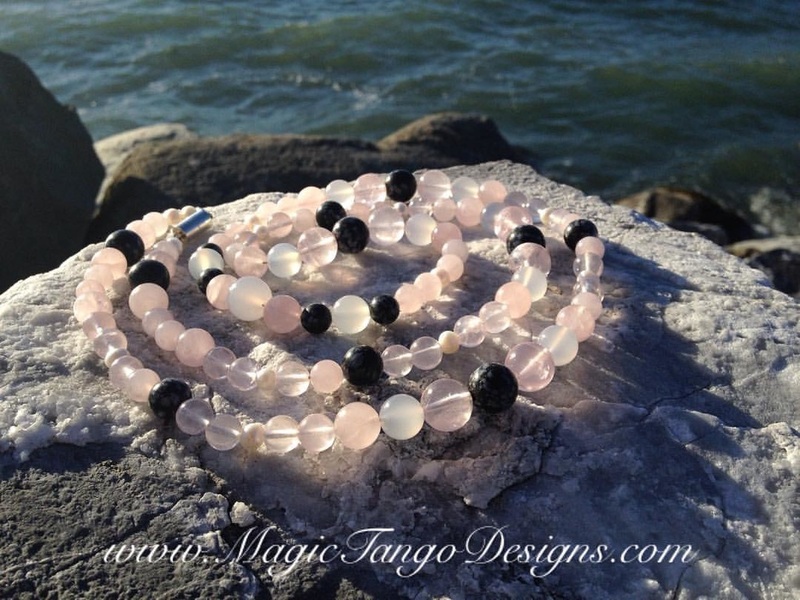 It can happen thanks to the ability of crystals and gemstones to emit energy and also absorb energies from the owner and from the space around, transforming them and giving back, which affects people. - support you in going through new beginnings, a career change, etc. - can help with a variety of many other requests. 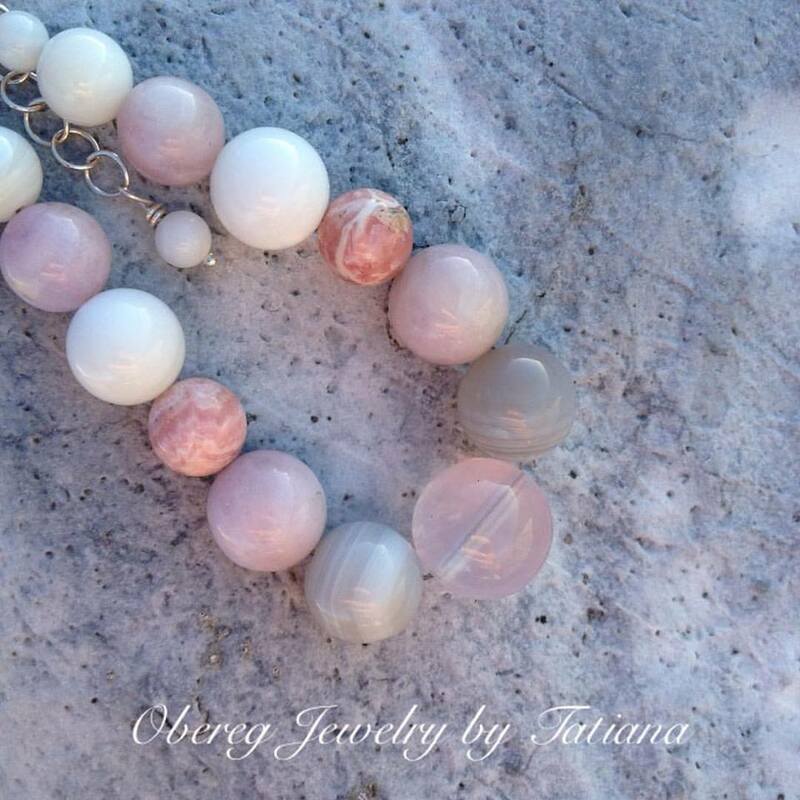 Note: For the same request different people might get different recommendations from me, so don't be surprised if you and your friend are offered 2 different oberegs, I take into account astrology and numerology as well as you can choose from a couple of variations that I would suggest for your request and Obereg. 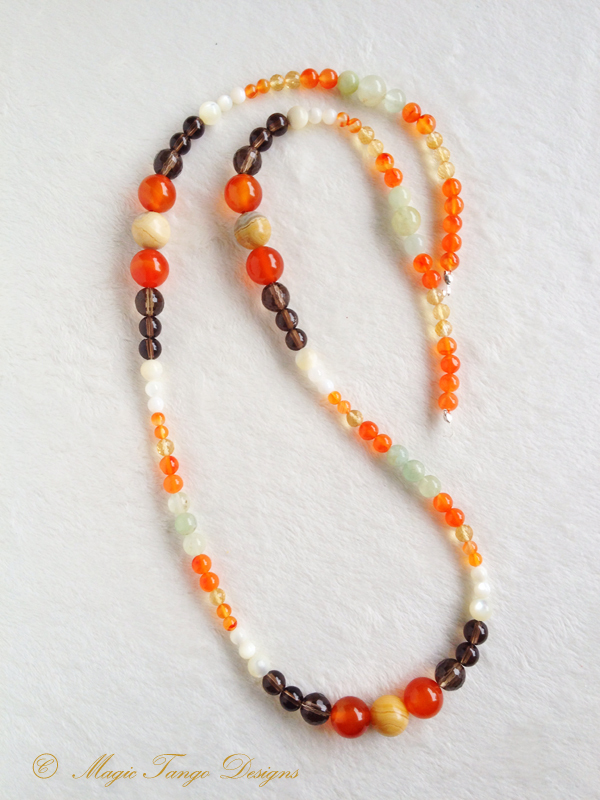 ​Necklaces & Prayer Beads from 108 beads are known for centuries as healing talisman / amulet jewelry. There is a particular word in Russia - "obereg" which means a handmade item which protects and helps the owner. 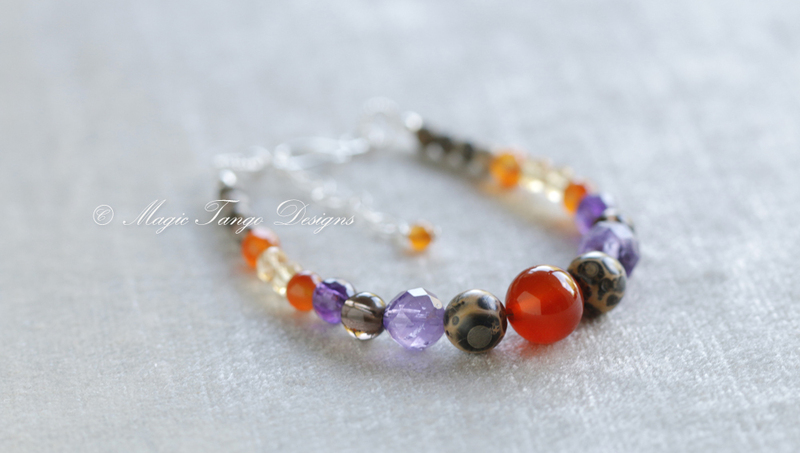 In older times people would pass such oberegs through generations, including crystals and jewelry with gemstones. 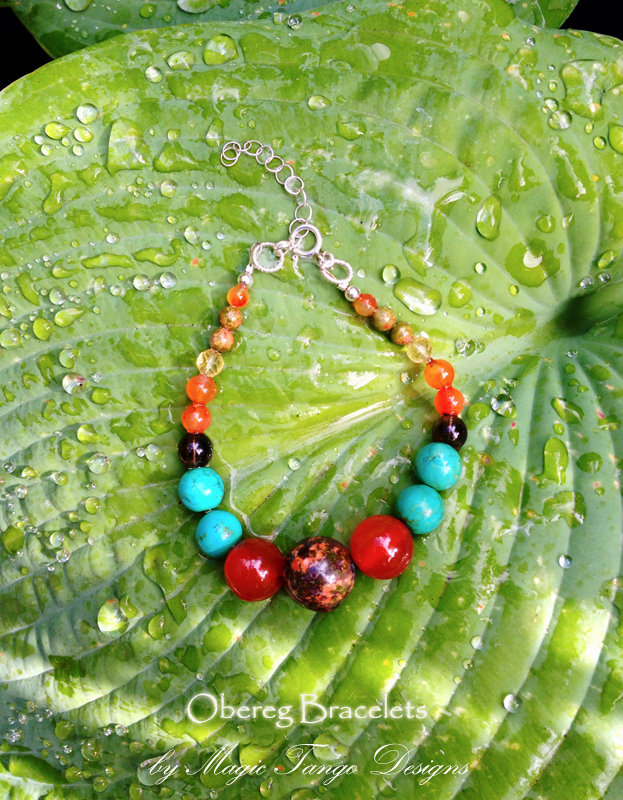 OBEREG NECKLACE and BRACELET can be worn during the day at work or at home, and also used for meditations and healing sessions. You can also put them on before a particular important meeting, for example to relax or get more confidence, balance emotions, or get whatever other influence you might want to feel. 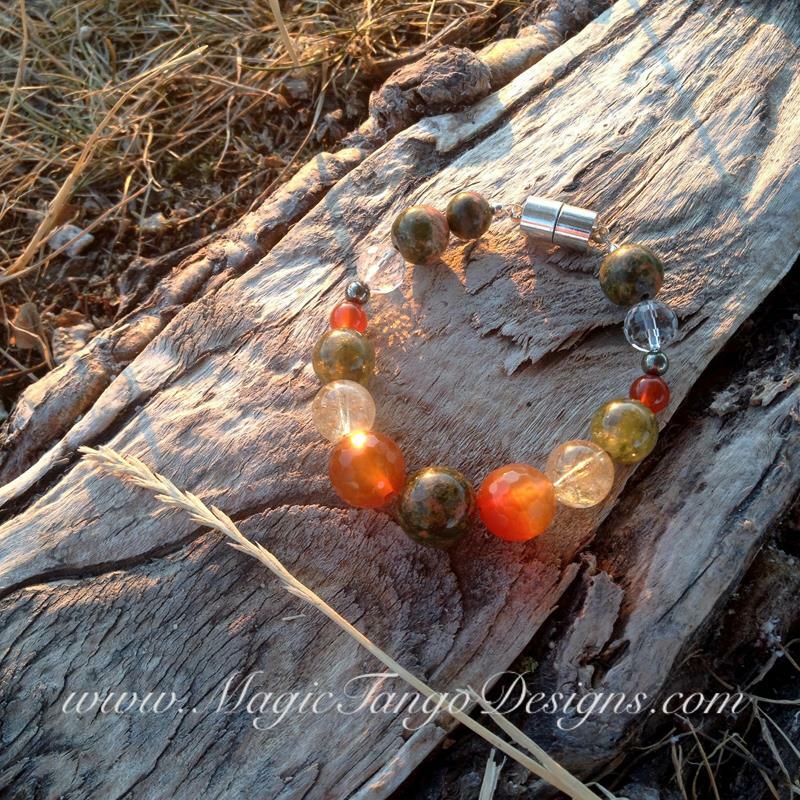 Obereg jewelry or prayer beads can become your PERSONAL RESOURCE and health tool box item cherished and used for a long time. 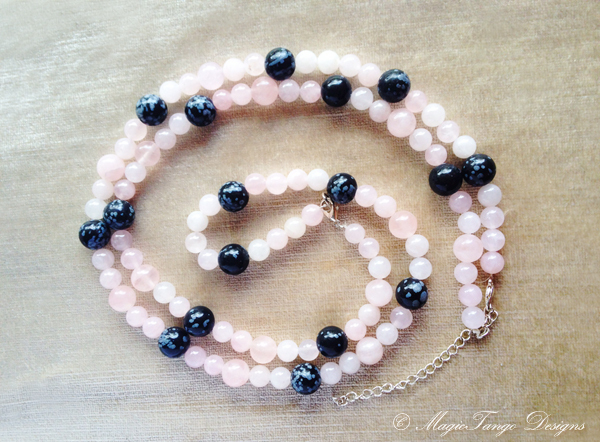 NB: It is VERY crucial however to CLEANSE jewelry on regular basis, recharge crystals / gemstones to cleanse them from negative energies and increase the healing properties, as well as it is of course good to take care of your energy field and health overall using various healthy techniques, and meditation with crystals is one of them. Note on safe work with crystals >>. 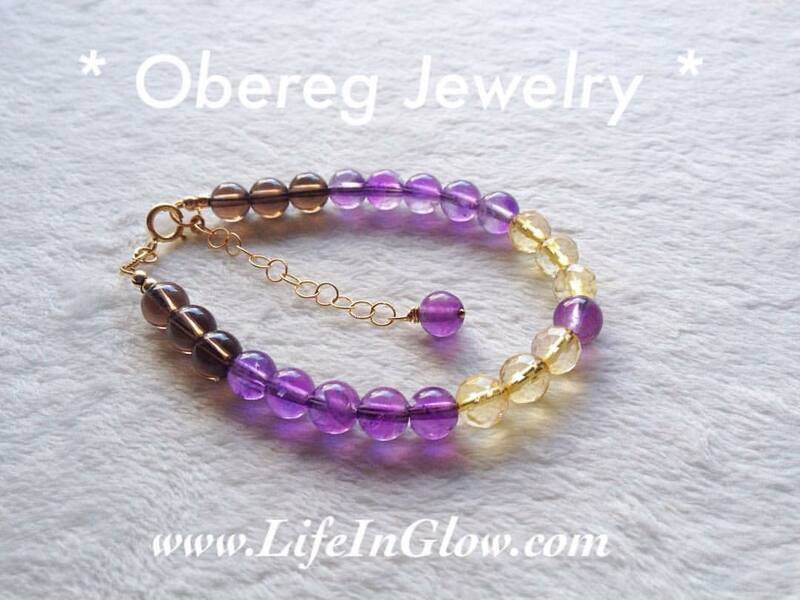 $25 for 1 obereg or $35 for 2 oberegs. 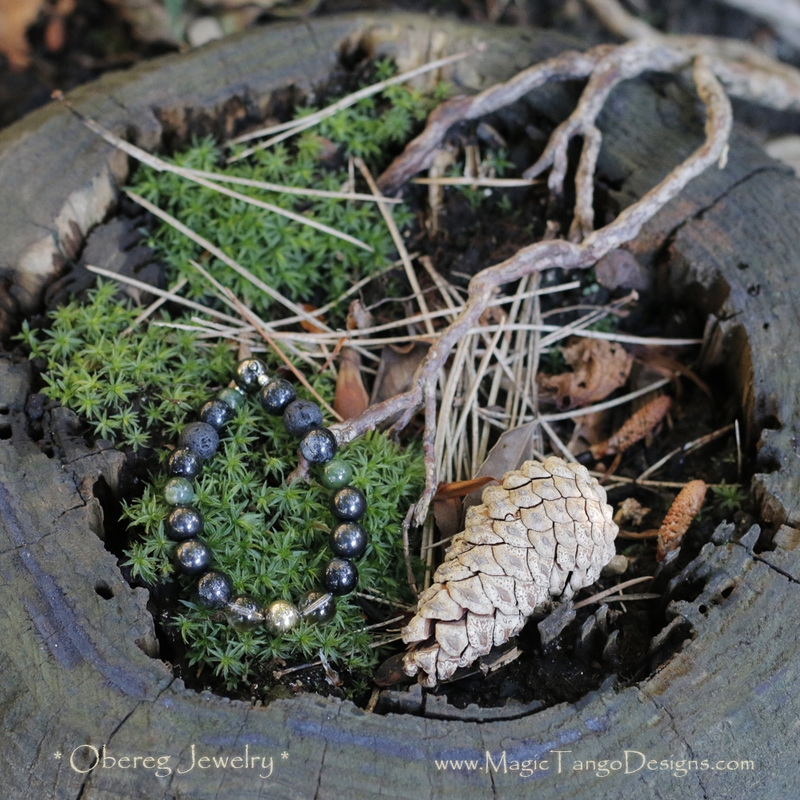 If you decide to order the obereg jewelry this fee goes towards the cost of the order. $25 minimum deposit has to be paid upfront or a full amount of the order. All the amount has to be paid before the production of the Obereg. Oberegs differ in price depending on the types of natural stones used, their form and size as well as production time involved. 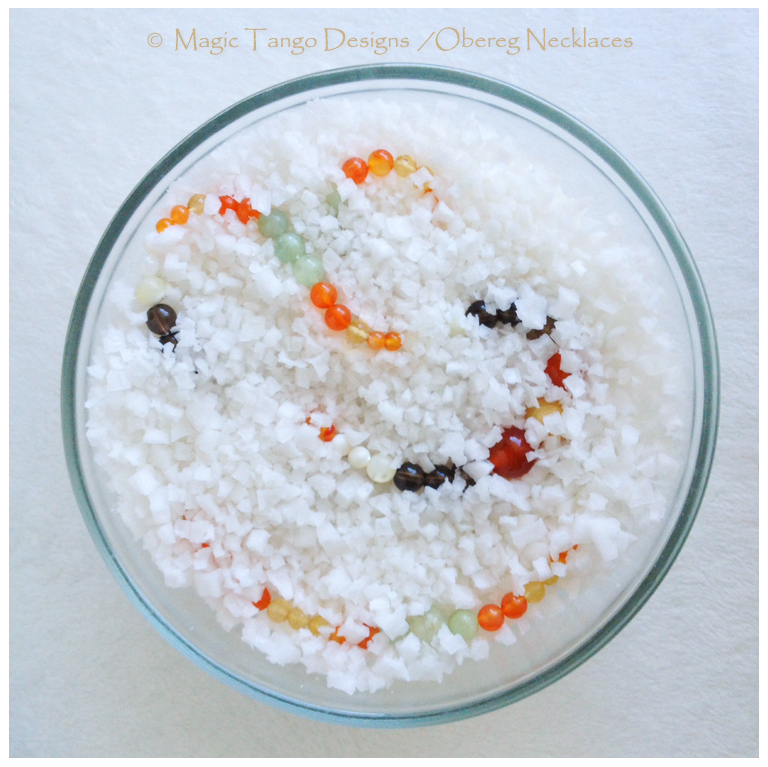 Each obereg is made from hand chosen gemstone beads which are cleansed and the obereg is charged specially for the request (which usually involves a few hours of work). 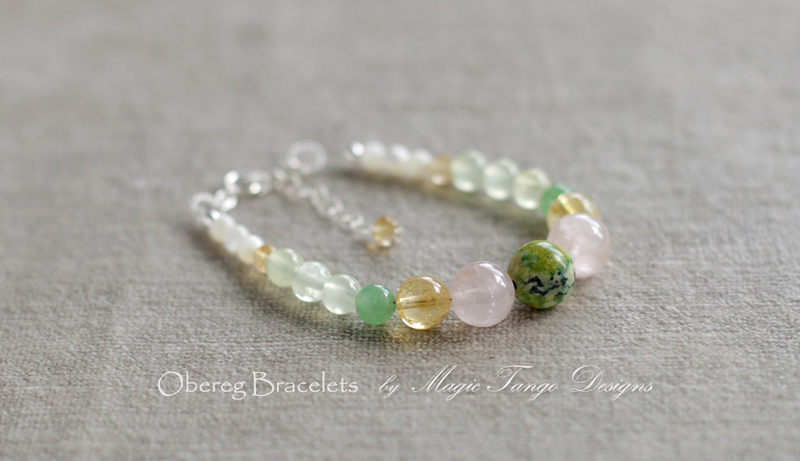 ​Please see FAQ about Obereg Jewelry for details. 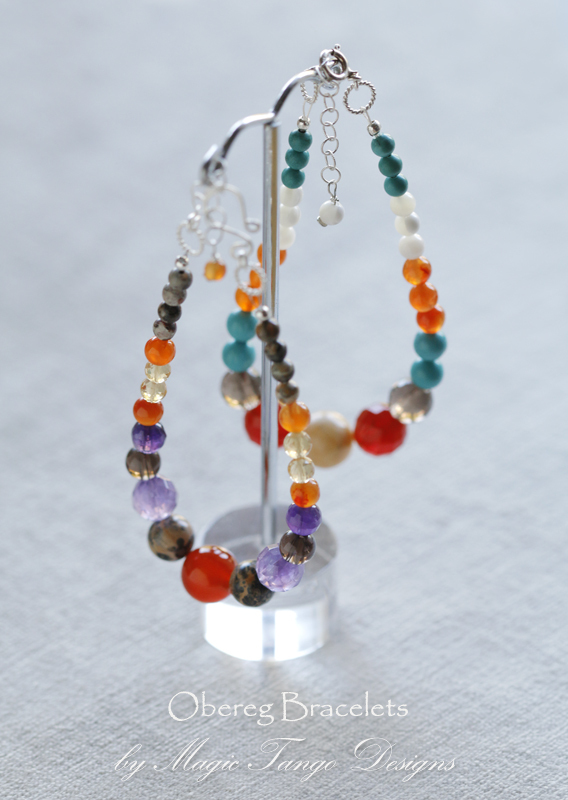 Different orders can take various time frame, on average from 3-7 days to up to 4 weeks, depending on how much time is required for defining the request and production of the OBEREG, which includes availability of the stones and to ensure that the all gemstones/ crystals are cleansed and charged with Reiki energy. 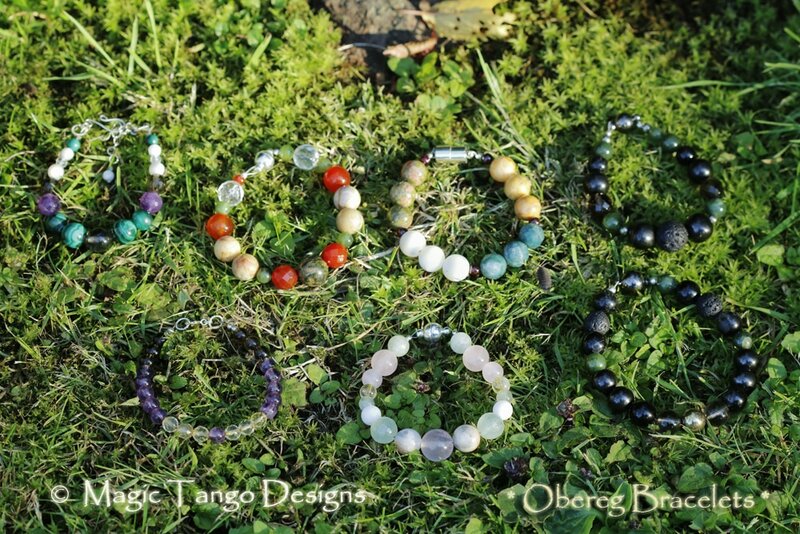 Reiki is used as well to amplify the effect of "obereg" jewelry. Each client has to fill out an online "Questionnaire for Obereg Orders" to help me decide what kind of Obereg would be the best fit for you. I will send the link once the consulation is paid. The questionnaire touches on some health-related questions, as well as obereg related questions. 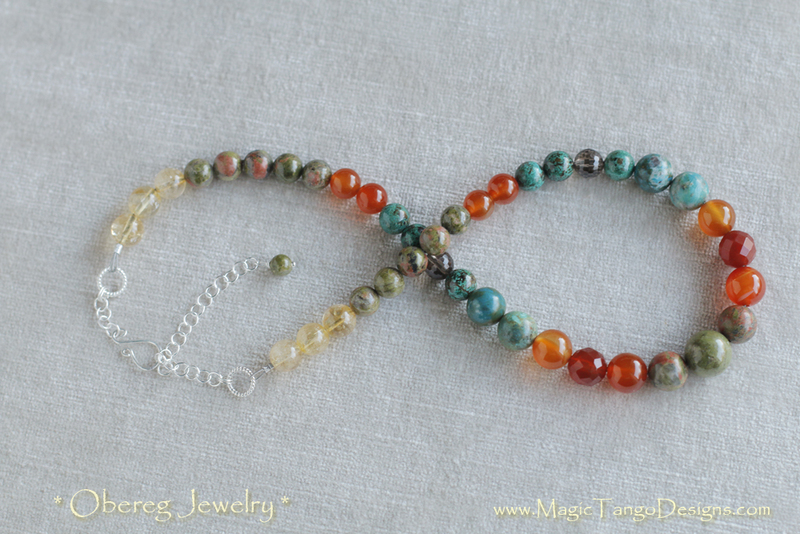 An OBEREG necklace, bracelet or prayer beads can be your "friend" for many years and you can also later order it recreated into a new type of Obereg or you can give it as a gift to someone (just make sure to cleanse it energetically properly). 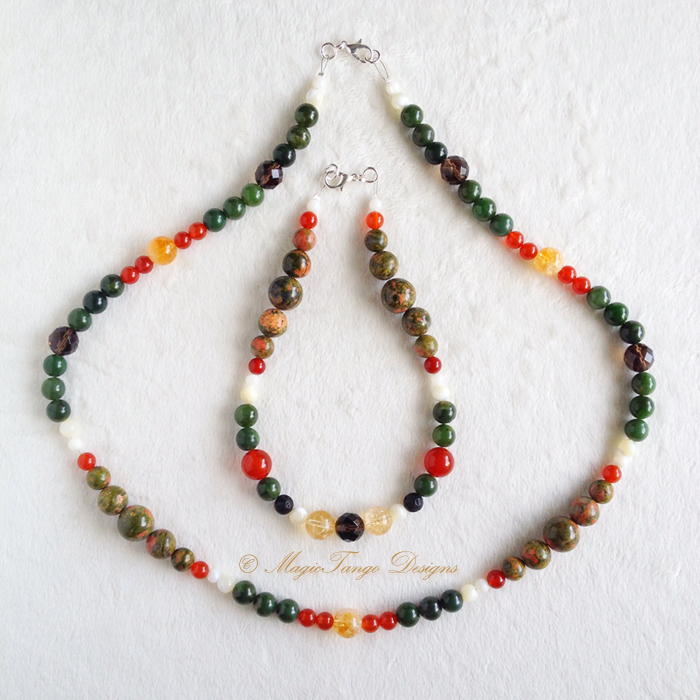 Transformer 108-bead Obereg Necklace from natural stones - can be also worn as a shorter necklace and a double wrap bracelet - for protection, security, care and stability.